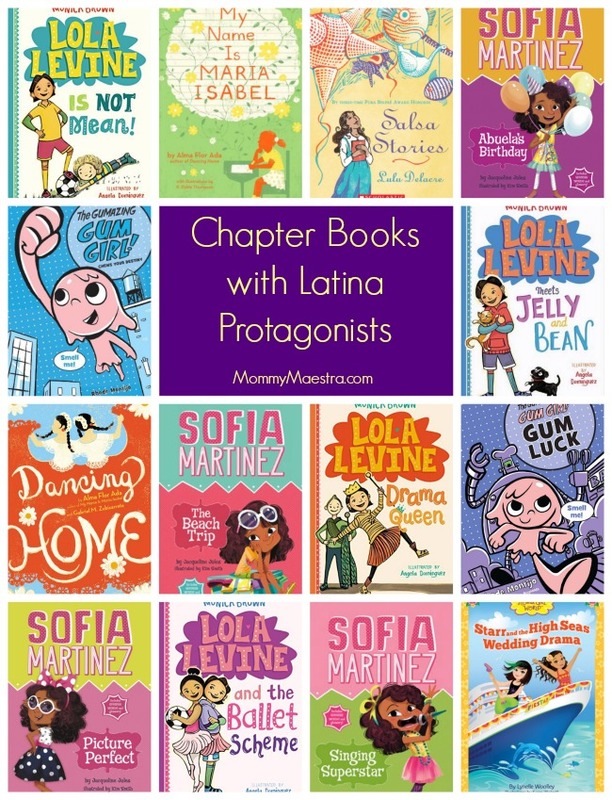 When I was a kid there weren't ANY chapter books featuring Latino characters, much less any centered around a LatinA. That's why young Latinas today are so lucky to have not just one, but a whole slew of titles from which to choose. 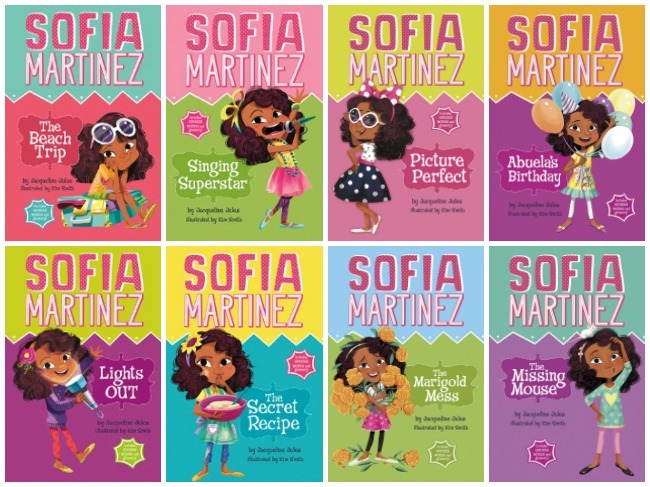 If you're looking for titles that reflect a young Latina's exprience that your child or students can relate to, check out these series and stand-alone stories. This new series by author Monica Brown celebrates Lola's multicultural background. The books are funny, energetic, and cleverly written. Young readers will relate to Lola's adventures and love her spunky way of dealing with them. And the illustrations by Angela Dominguez are a great addition to the story. I love that you can find lesson plans to accompany the books on Brown's website. She's fun. She's quirky! And she always has a bright idea. This series debuted last year and already has more than half a dozen books in print. And young Latinas will love every single one. This is such a cute story! Written and illustrated by Rhode Montijo, this book tells the story of Gabby Gomez who loves gum SO much that one day...she turns into it! She keeps her new elastic powers a secret, but uses them to help save the day. 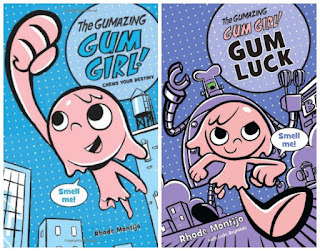 And now, Gum Girl is an official series with the second book coming out next June. Dancing Home by Alma Flor Ada and Garbiel M. Zubizarreta. A beautiful story about family, friendship, and the classic immigrant experience, this book chronicles Margie and Lupe's new friendship. My Name is María Isabel by Alma Flor Ada. For María Isabel Salazar López, the hardest thing about being the new girl in school is that the teacher doesn't call her by her real name. "We already have two Marías in this class," says her teacher. "Why don't we call you Mary instead?" Salsa Stories by Lulu Delacre. I love this book that celebrates the diversity of Latino culture. When Carmen Teresa receives a notebook as a holiday gift, the guests suggest she write down their own childhood stories, which they tell. But Carmen Teresa, who loves to cook, collects their family recipes instead! Starr and the High Seas Wedding Drama by Lynelle Woolley. A book in the Flower Girl World series, this one features Starr and her Abuela, who is getting remarried. The latter is taking the family on a Mexican cruise to meet her fiancé Walter and his family. But Starr isn't so sure that the two are a good match and decides to do something about it. There is a very light sprinkling of Spanish words in the book. This is a cute story that is part of a multicultural series. Will have to share these with my girl!